Visiting 4 countries: France, Switzerland, Italy, Vatican City. Take a road trip from London to Rome, stopping to experience the magic of some of Europe's most awesome winter destinations. 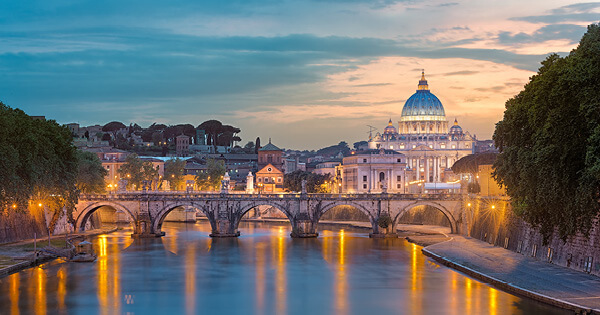 When you're not exploring the charming streets of Paris (sans crowds), making snow angels in the Swiss Alps or brushing up on your art knowledge in Florence, you'll be enjoying Rome at its quietest and kicking your feet up in hotels. Winter never looked so hot.